Gmail has great spam filters but they’re not perfect. They’ve been tweaking them and updating them and fine-tuning them, but sometimes, they get it wrong. And, so, sometimes the content of our InfoAve Premium newsletter triggers Gmail’s spam filters and our newsletters ends up in your spam folder. Our Cloudeight InfoAve Premium newsletters have been sent every Friday for 809 weeks. We have never missed a week. If we ever had to skip a week we’d notify all subscribers by posting it on Facebook, our Website and in our InfoAve Daily newsletter. If you subscribe to our newsletter with Gmail, and if you some Friday (or Saturday – depending on where you live) you don’t receive our Cloudeight InfoAve Premium newsletter, you can be sure it’s been sent to the Gmail spam folder. First, you’ll need to find the Spam folder and open it. 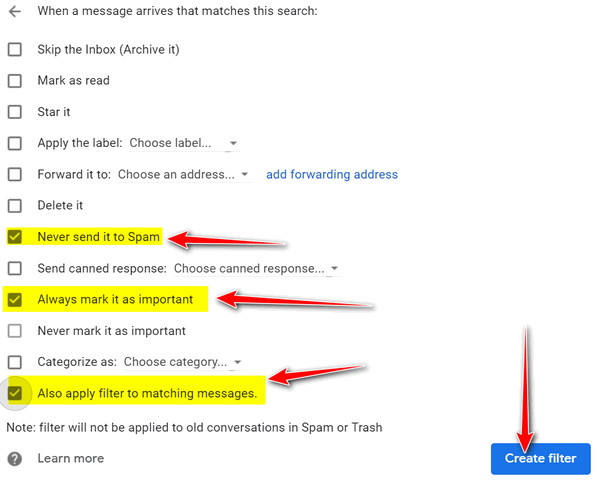 In Gmail, your “Spam” folder is hidden. 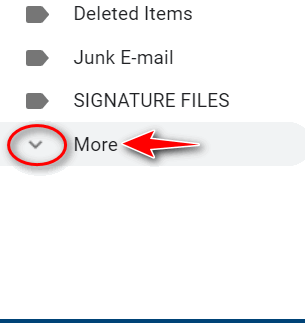 You’ll have to click “More” so your spam folder shows. Click “More” to expand the list. Find Spam in the list and open it. 1.) Select our newsletter by clicking on it. 2.) Click on the 3 vertical dots icon as shown below. 3.) Choose “Filter messages like these” from the dropdown menu. In the next dialog, make sure the From field says cloudeight-news@thundercloud.net. Add the words “Cloudeight InfoAve Premium” (no quotes) in the “Has the words” field. When you click “Not spam” it will immediately move our newsletter to your Inbox. This should normally prevent it from being sent to the spam folder in the future, however, Gmail’s spam filters are also based on content. 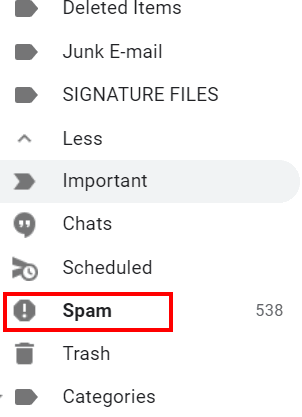 Since our newsletter’s content varies widely from week to week, it’s possible that Gmail will, from time-to-time send our newsletter to the spam folder if something in it triggers the spam filter. So, to be sure, create a message filter for our newsletter to prevent it from going to your spam folder in the future. Thank you for the Gmail/spam info. I have found your Newsletter in my spam folder a few times recently. I always mark it as Not Spam and it goes to my Inbox. I’ll do it your way and hope that will fix it for good.